General topics discussed: the price of oil – implications, trends and prognoses; challenges and opportunities for the exploration and production sector; innovative solutions, breakthrough technologies and equipment for exploration and production; the interpretation and analysis of geological and geophysical data. The event, structured as a two-day conference, represented an opportunity for participants to establish new business contacts, to share ideas and debate advanced technical and economic solutions for a sustainable future, providing also opportunities to promote efficient products and services for the Upstream sector. Speakers: Eugen Popitiu – Advisor to the President, NAMR; Niculae Havrilet – President, ANRE; Iulian Iancu – President, ROMANIAN MEMBER COMMITTEE OF THE WORLD ENERGY COUNCIL (CNR-CME); Andrew Costin – President, PETROLEUM CLUB OF ROMANIA; Niculae Napoleon Antonescu – Honorary Rector, PETROLEUM-GAS UNIVERSITY OF PLOIESTI (UPG). The oil crisis, which takes an important place in the agitated world economic environment, will continue to leave deep scars in the years to come, analysts estimate. The most recent analyzed effect, the failure of the Doha negotiations, demonstrates the continuation of the crisis generated by the collapse in oil prices, Dr. Eng. Iulian Iancu said. As a result, the investment in exploration and exploitation of hydrocarbon deposits will decrease by about 20% in 2016, after a series of consecutive declines in the past three years, quantified in huge losses for the large players in the field. The situation requires a special legal framework for attracting investors in Romania and in particular to capitalize the deposits in the Black Sea rich in natural gas reserves, the CNR-CME President underlined. He also noted that the discussions at government level should be concluded by June, so that in autumn the new fiscal framework is approved. Iulian Iancu also reminded that the law on the safety of offshore oil operations, which establishes the regulatory body of these operations in the Black Sea, has been adopted by the Senate. The draft reflects the European community legislation and regulates the minimum requirements needed to prevent major accidents and to limit the consequences of accidents in oil operations in the Romanian Black Sea. For ANRE (the National Regulatory Authority for Energy), the topic of the day is the completion of the gas market liberalization. ANRE President informed that the process is nearing completion, currently 70% of the natural gas market is competitive system, while 30% of the market is still regulated system. He noted that the total market deregulation will have beneficial effects for both investors and consumers, but if imports are eliminated the domestic gas basket price will be higher than the external price. In this regard, Niculae Havrilet said that the authority will ask the government to amend the current legislative framework (the price increase for domestic production, according to Government Decision no. 488/2015, by 10% as of July 1, 2016) so that the domestic price of natural gas would not be higher than imported gas. ANRE intends that by October 1, when gas year starts, the natural gas market to be free, competitive, enabling the predictability of projects. The NAMR (National Agency for Mineral Resources) representative has included in his message the reviewing of the latest round of auctions organized by NAMR for the concession of oil and gas perimeters, as well as the results obtained by the companies that have oil agreements (the Domino and Doina discoveries in the Black Sea). He added that currently feasibility studies for the hydrocarbons transmission pipelines are ongoing. As everyone expects the new NAMR licensing round, announced long ago, Eugen Popitiu said the 28 packages ready for round XI are verified and the moment to launch them is under analysis. Given that most projects are delayed because of this, the NAMR will try to remedy the situation by the end of the year, Popitiu added. Referring to the worrying signals worldwide on the developments on the oil market, Univ. Prof. Dr. Eng. Niculae Napoleon Antonescu noted the dramatic effects on the Upstream segment in Romania. If our country has managed to stay on top in the world in this area, even after World War II, now, due to the falling prices and lower investments, the sector has declined. For the same reasons, unconventional deposits are no longer considered at the moment. However, there is a growing interest from high school graduates for admission to the Petroleum-Gas University of Ploiesti, which enjoys high international appreciation. Concluding the opening session of the conference, Andrew Costin noted the key elements that define the global geopolitical situation and the major factors influencing the oil market and their effects on the medium and long term. 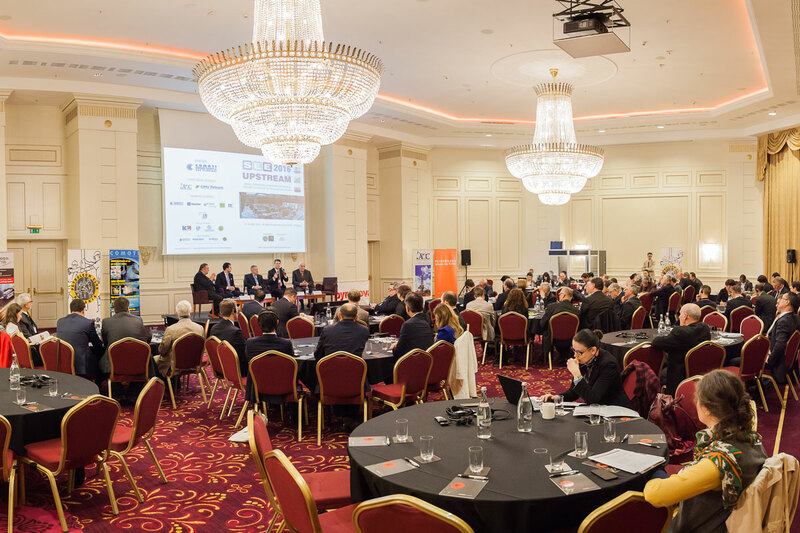 Speakers: Ionut Purica – Energy Expert, ROMANIAN ACADEMY; George Dragne – Deputy Sales Director, MARSH ROMANIA; Catalin Barb – Senior Associate, LEROY SI ASOCIATII; Matei Paun – Managing Partner, BAC ROMANIA. “We are facing major changes in the energy world. Energy flows as they were several years ago are reversed and situations such as the United States have become exporter of gas, oil or coal – unimaginable seven or eight years ago – are now normal. The reducing of energy consumption in the European Union, due to energy efficiency policy combined with the initiation of a technological development strategy and an energy security one, have laid the negotiating capacity and the imports of oil and gas on new bases,” Prof. Dr. Ionut Purica said. “The oil price is three times lower than three years ago and resets the elements of energy development in the world, in association with the use of energy materials as control elements in geostrategic conflicts. Technological alliances made up by the world’s billionaires envisage advanced storage, transport and power generation technologies that will penetrate quickly, occupying the niche market under the paradigm shift. How do we get prepared for these developments? How can we become an active part?” – these are just some of the starting points for the discussion proposed by the expert to the audience. By registering a decrease of approximately 70% during the past 20 months, the oil price has left a huge imprint on the world oil and gas industry. The experts meeting in the first session of the conference discussed the issues related to legal framework, insurance and risk management, staff issues, tax and audit services for the oil and gas industry. Energy conflicts at the beginning of the 21st century – the penetration of logistic means and the crisis were the subject of the presentation made by Marsh Romania representative George Dragne. The Global Risks Report 2016, a document elaborated with the support of the companies Marsh & McLennan, as consultants for the Global Economic Forum in Davos, identified as main risks affecting the business environment: political risk, terrorism risk and cyber security risks. Starting from the Marsh’s extensive global experience and considering its more than 20 years of activity in Romania, the presentation answered the essential questions involving risk in oil & gas sector. How are the global risks reflected in the local effects? Which are the main threats to the industry? Which are the optimal strategies for risk mitigation? What outsourcing solutions can be identified? All of these are starting points in a framework analysis designed to find solutions to the complex challenges the industry is facing lately. Along with the issues mentioned above, the Marsh Romania representative revealed concrete examples – the main damages that occurred in 2015. Furthermore, a fundamental problem comes for the sector in terms of lower commodity price, which generates additional pressure on the oil and gas industry and often, a cut in safety investment measures and in staff training. The Marsh Romania representative warned that the cost reduction initiatives have long-term value and long-term impact and should not be translated into major cost savings now and high costs in the future. The latest developments in terms of legal framework and of the business environment in the Upstream segment was described by Catalin Barb, who included in his exposure a retrospection of 2015 (an overview of the latest legislative changes and the most important mergers and acquisitions) and the prospects for the current year: the new taxation system of the petroleum and mining sectors, to be approved in June and to take effect as of January 1, 2017; the new procurement rules; the law on the safety of offshore petroleum operations (proposal approved by the Senate on April 19); the new Energy Strategy for 2016-2030; ‘upgrades’ to the Petroleum Law; amendments to the petroleum agreements, especially regarding those awarded in Round X; a new licensing round organized by the NAMR, after the approval of the new taxation system for hydrocarbons. In his turn, Matei Paun reiterated the dramatic situation on the oil market, recalling that dialogue on the developments of crude oil prices have started since last year, within the discussions Talking Oil & Gas organized by the Petroleum Club of Romania, when no one could have predicted such an evolution. The consultant highlighted the major factors that have led, in his opinion, to the onset of the current oil crisis, the current situation on major markets (supply and demand), comparisons between the US and the Eurozone, the status of OPEC and predictions about the oil market rebalancing, despite falling investment and world geopolitical conflicts. The International Association of Oil and Gas Producers (IOGP), having 78 members worldwide, is the global voice of the industry in the upstream sector and is also a professional and experienced forum that facilitates know-how sharing and the transfer of best practices for improving the performance in terms of health, work safety, environment protection, security and social responsibility. These objectives can be achieved through cooperation between the governments and industry, the association’s representative stressed, a positive example in this regard being the support for industry by adapting the taxation system. Christian Schwarck is convinced that oil and gas will continue to play a major part in the European energy mix. He also stressed the importance of natural gas in the energy mix, a resource meant in the future to replace coal, the most polluting energy source. Another good example for rendering more efficient the operations is the IOGP – JIP 33 initiative, a project for the standardization of technical specifications in view of equipment purchase, supported by a group of 10 companies, including BP, Total, Engie, Chevron, etc. The Black Sea region remains in the focus, being an important factor in building a flexible gas market within the European Union. The strategies for unlocking the hydrocarbon potential of Greece were approached by Costis Stambolis, who revealed some areas of progress in restarting explorations after a break of 15 years, in analyzing and understanding the non-technical obstacles, in analyzing and understanding the competitive advantages of the country in terms of hydrocarbons exploration and production, in setting realistic targets and how to achieve them, in choosing the path for achieving the objectives. The analysis, based on a study conducted by IENE in 2015, included the assessing of the oil market current situation, price scenarios for crude oil, as well as highlights of Southeast Europe’s over-dependence on imports, a reason to stimulate the exploration of hydrocarbons. The IENE Director enumerated the main stages of hydrocarbon exploration operations in Greece (discoveries, proven reserves and potential reserves), adding that the restarting of exploration and production operations took place in 2011. The findings show the four factors for a successful strategy: objective estimation of resources; the deep understanding of the competitive environment; setting of consistent targets on long term; effective implementation. The impact of 3D seismic prospecting on the rehabilitation of natural gas mature fields has stirred the experts’ interest, given that the work of Dr. Eng. Dan-Paul Stefanescu, Director of Targu Mures Romgaz Branch, and Dr. Eng. Ion Foidas, Head of Production Department Romgaz Medias, underscores the importance of this means, used in exploration and production in order to maintain the oil output levels. The Romgaz representative stressed the major projects of the company: The “Bazinul Central Transilvan” Major Project (the Central Transylvanian Basin Major Project) – having as objective the exploration of the stratigraphic structural complex in the maximal depression sector of the Transylvanian Basin, accredited with hydrocarbon accumulation potential in complex traps in the entire Pre-salt and Post-salt sedimentary stack; “Moldova” Major Project – having as objective the exploration of sedimentary formation in the Moldavian Platform in the contact sector between the Platform and the Pericarpathian Nappe, with possible hydrocarbon accumulation in complex structural traps within the sequence of Pre-anhydrite and Post-anhydrite stratigraphic deposits; “Muntenia” Major Project – having as objective the exploration of sedimentary formation in the Moesic Platform within the north –dipping sector in front of the Pericarpathian Nappe, with major structural alignments comprising complex, potentially hydrocarbon bearing traps, in collector strata of the Mezozoic basement and the Mio-Pliocene sedimentary blanket. In short, the developing of geological models and the evaluation of gas volumes based on 3D seismic measurements resulted in obtaining additional geological resources of over 10 billion Stcm. UPG representative Andrei Dumitrescu informed about the setting up a new regional centre for performance tests and for monitoring the technical condition of tubular material used in the oil industry (CRDPMTP) within the university. Thus, recently has been concluded a comprehensive programme of acquisitions, financed by the European Union through the European Regional Development Fund, whose main objective is to create a centre for experimental research to enable the testing of complex behaviour of the petroleum tubular material components (drill pipes , drill collars, casing pipes, tubing, pipes and fittings – elbows, bends, tees, etc. – for technological, transmission and distribution pipelines) to simple or combined operating pressures, evaluation of operational characteristics, monitoring the exploitation behaviour, quality certification and issuance of constructive and technological solutions for various types of tubular material. CRDPMTP, divided in several laboratories, is endowed with modern equipment for complex research activities. Speakers: Dumitru Gherghiceanu – Senior Department Manager, OMV PETROM; John Morrison IAM – Business Development Manager, XPD8 Solutions, JOHN CRANE GROUP; Leonard Trifu – Marketing Manager, INCDT COMOTI; Class Wilken – Europe Business Development Manager for Well Construction, WEATHERFORD; David Yang – General Manager SEE, KERUI PETROLEUM EQUIPMENT. According to the representative of the largest oil and gas company in Romania – OMV Petrom, the interest in mature fields is justified because two-thirds of the world’s output comes from mature fields and 70% of hydrocarbon liquids produced in the world today come from fields that have been in operation for more than 20 years. Dr. Eng. Dumitru Gherghiceanu recalled that until the technical limit of ultimate recovery is reached, old fields still offer opportunities. Old fields require attention in all phases of their management being located at the crossroads of many fields of expertise, the specialist added. His presentation highlighted the risks that arise when works are to be performed by drilling on old fields and the positive impact of new technologies in reducing and/or eliminating these risks. Among the problems that can occur during drilling of new wells in an old field there are: the risk of collision with older wells in production or abandoned, including the stability of the wellbore, especially in facing depleted deposits; fluid losses in depleted formations; fastening losses as effect of wellbore collapsing. The success of the drilling is guaranteed by designing the drills that should follow several basic principles: define the geological features (lithology, stratigraphy, faulting, bending); estimate accurately the elements that outline geo-pressure (pore pressure gradient, fracture gradient, temperature gradient); collect rocks properties found in geological formations (permeability, porosity, strength, water activity that saturated the rocks). These issues cannot be properly assessed without an analysis and interpretation of data obtained from geological correlation and technological wells. The case study has shown that proactive approach, real-time reaction to what happens during the process, coordinated with the professionalism in applying the most appropriate technologies have led to meeting the target, respecting the allocated time and budget. Within the John Crane group, the world-leading provider of engineered products and services for the major process industries, including oil and gas, the company XPD8 Solutions (acquired in October last year) primarily aims at asset management solutions. Cost optimization techniques for the onshore & offshore production of hydrocarbons recommended by John Morrison contribute to production increase, reduce risk, regulatory compliance with the regulations and rules in force while reducing costs and increasing the availability of the production unit. Answering several questions about the efficiency of production, the company representative underlined the importance of reducing maintenance costs, of operating costs, of compliance costs and of increasing efficiency, even with a rate of 1%. The case studies shown have emphasized the efficiency of the complete services offered – from design, construction, commissioning, operation, life extension. “Among the few success stories in the field of research and design in Romania is the INCDT COMOTI story,” said Univ. Prof. Dr. Eng. Niculae Napoleon Antonescu. Indeed, the National Research and Development Institute for Gas Turbines COMOTI, founded in 1985, is the only specialized company that integrates such activities as scientific research , design, manufacturing, testing, experimental activities, technologic transfer and innovation in the field of aircraft and industrial gas turbines and high speed bladed machinery. 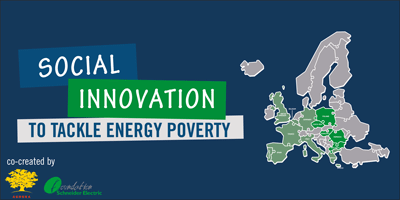 The solutions dedicated to the natural gas market and presented by Leonard Trifu are characterized by a high degree of reliability and efficiency, being internationally recognized and rewarded with medals and diplomas at salons for invention. The Institute is involved in European projects and large-scale cooperation projects with prestigious international companies, and since 2000 COMOTI is the official packager for gas turbine engines produced by Pratt & Whitney, Canada. Challenges inherent during drilling with casing have led to the introduction of new performing technologies to ensure maximizing the efficiency and the safety of the drilling operations. The Weatherford representative presented a comparison between the non-retrievable system currently practiced and the new technology (retrievable system) that the company is preparing to implement by mid-year. Analyzing different situations which use the technique of drilling with casing, Claas Wilken pointed to the advantages of the new methods and to the solutions to solve the problems. He also described the most competitive tools used for enlarging the borehole (drill bits) and the results obtained by using them during operations. Kerui Petroleum Equipment is a complex company that provides leading solutions in research, development and manufacture of equipment for the oil industry, providing integrated services and turnkey technology projects. The largest producer and supplier of services and equipment for the oil and gas sector in China has over 8,000 employees and is based in Dongying, close to the biggest oil field in China – Shengli. The Chinese investor’s interest towards Romania was explained by David Yang, who revealed details on the business portfolio, the services provided and the available technologies (1,000 technological patents) as well as the company’s experience (projects completed worldwide). 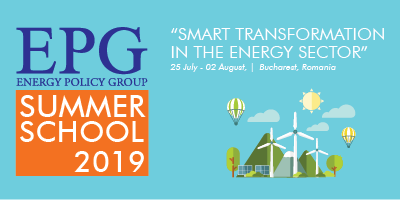 Speakers: Mihail Mitroi – COO, PROSPECTIUNI; Victor Mocanu – Dean, FACULTY OF GEOLOGY & GEOPHYSICS, UNIVERSITY OF BUCHAREST; Mihail Batistatu – PETROLEUM-GAS UNIVERSITY OF PLOIESTI (UPG). As expected, the oil crisis consequences have widened, affecting including academia, with long-lasting consequences, not to mention that those who leave the industry now are unlikely to return. The impact of falling oil prices on the training of future specialists in the field was reviewed by Prof. Dr. Eng. Victor Mocanu, in a comprehensive analysis, as he launched several warning signals on medium and long term regarding employment in the oil and gas industry. Without a real collaboration between stakeholders (company managers, researchers, bankers, governmental agencies, academics) and without developing an effective strategy in this regard, a very negative prospect is looming, the university professor warned. Speaking about the negative effects, a recent example is given by Prospectiuni, in insolvency since early April after losses due to the falling demand for geophysical and geological services for the oil industry, subsequent to the decrease of world crude oil prices. The topics addressed by the company representative were seismic survey in Romania, in the current legislative, economic and political context and the current challenges in the exploration of oil and gas. The ambiguities of the legislative framework were noticed, in particular those relating to the operators’ access to the fields required for their activities, the obtaining of the building permit, the lack of cadastre and the difficulties in identifying the owners, the provisions of the environment law on protected areas through the ‘Natura 2000’ programme , the Forest Code, etc. However, all these draw obvious delays in the exploration operations, exceeding the already set deadlines, extra costs, a bad image for the company in relation with the authorities and local communities, the non-observing of the oil agreements with NAMR. Mihail Mitroi pointed to a number of proposals to revise the legal framework in order to ensure the efficient work of seismic data acquisition. In regard to the challenges of the current exploration of oil and gas in Romania, the Prospectiuni representative brought up the main objectives of the company: improving the quality of the collected seismic data, improving the seismic data recording equipment, reducing the field data gaps, investing in environment-friendly seismic sources onshore and offshore, covering difficult areas of interest, real-time monitoring of ambient noise sources over survey area, the use of new data processing techniques. Finally, Mihail Mitroi added that the seismic survey is the most appropriate geophysical method which provides detailed information about complex geological structures. The seismic industry also benefits from appropriate technologies and specific equipment according to current and future objectives of the oil and gas exploration sector. Given that human activities such as drilling in areas of overpressure can lead to significant risks, there is great and necessary concern for specific studies of research, prevention and mitigation of geological hazards (geohazards) in order to understand the preconditions, the causes and the implications. Associate Professor Mihail Batistatu has approached in the presented paper a number of situations and projects of ‘Geohazard offshore,’ the major progress made in recent decades in the field, issues related to the causes of such phenomena, geotechnical investigation of underwater landslides, their initiation movements, and subsequent effects. The paper concludes with conclusions over the hazards caused by underwater massive movements and submarine gas hydrates and their risk assessment. The UPG representative also mentioned that maintaining the multidisciplinary investigations in occurrence and implications of geohazards, particularly the offshore geohazards related to oil and gas exploitation, leads to specific mitigation studies and to establishing relevant prevention mechanisms. Speakers: Torgeir Olsen – Business Development Manager Eastern Europe and Special Projects, ODFJELL WELL SERVICES; Ali Qureshi – Well Delivery Manager Team 5, OMV PETROM; George Maghiran – SALTEL INDUSTRIES Romania Representative. Odfjell Well Services is a leading international company with long history and rich experience, providing world-class petroleum services. Continuing the series presenting innovative technologies and equipment for the Upstream segment, Torgeir Olsen introduced us to the world of robots for offshore oil drilling operations. From issues related to wells integrity, with implications on costs and drilling associated risks, factors influencing the performance of casing operations, comparisons between the conventional casing running and the Top Drive casing running, he moved on to the results leading to significant time savings, which means significant cuts in operational costs. With focus on the two terms, consistency and performance, interconnected in his view, Torgeir Olsen highlighted another important factor – personnel training for performing specific operations. The findings showed an increase in operational performance, despite the reduction in staff. The obvious benefits of the drillfloor robots, already in use at Ullrig (Norway), open a new path and change the game in the oil and gas industry. Once again, the professionals with the OMV Petrom proved that technology offers the possibility to achieve the most ambitious goals. A case study on the first drilling in Romania achieved with DWL (Drilling with Liner) technology presented by Ali Qureshi emphasized that the DWL system helped to cross the problematic salt layers and facilitated drilling ahead for the targeted reservoir. Analyzing the results of the application studied, the specialist recommended the use of stronger bit; also some pressure fluctuations were observed while drilling, could be from bit nozzles washing out, but cannot be confirmed. Saltel Industries is a fully integrated company, from R&D to operations through manufacturing, created in 2004. The company operates in Romania starting with 2103. The services offered cover a wide area of innovation, research and development to production of expandable packers. Innovative technological solutions – Expandable Steel Patches and Expandable Steel Packers – presented by George Maghiran, help to improve well production, restore well integrity, facilitate the casing repairs, cure total losses, etc. The multiple benefits offered by expandable packers – such as: simple and cost effective; fast activation; can be set in oval shaped bore holes; possibility to rotate, control the pressure applied to the formation, etc. – validate the effectiveness of these modern tools, so important for the well life extension. In conclusion, on the background of high volatility, the oil and gas industry needs first of all a regime of stable prices, allowing investment planning. Cost cuts, while maintaining the safety of operations, the portfolio optimization, re-prioritisation of investments, the maintaining of profitability and sustainability remain key challenges for companies operating in this field.